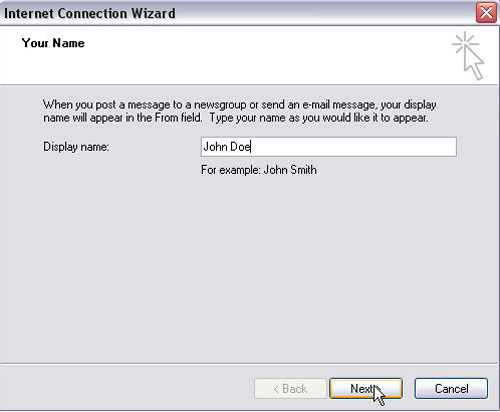 Outlook : Ngroups.NET - More for Less! 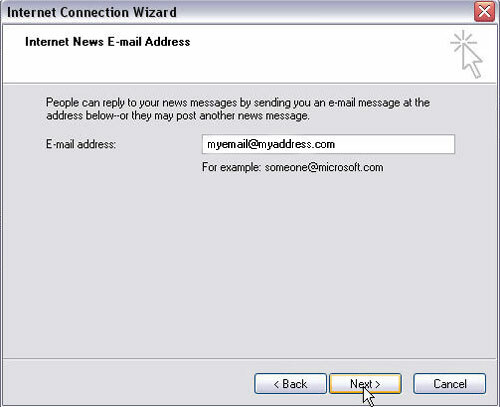 - NNTP Usenet Newsgroups for everybody! Performance - Retention - Free SSL - Affordable pricing! Step1: Click on tools then go to accounts. Step2: Click the news tab, add button, then the news selection. 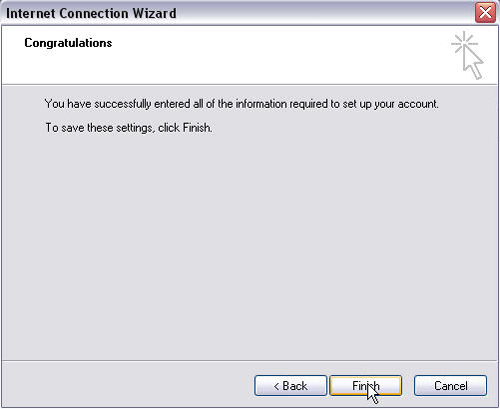 Step6: Enter your username and password (from your welcome letter). 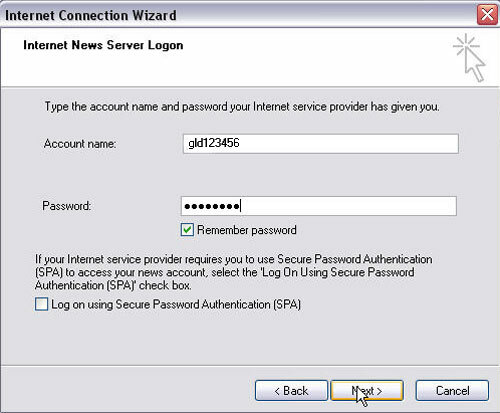 NOTE: Both username and password are case sensitive. Step8: Click the close button. 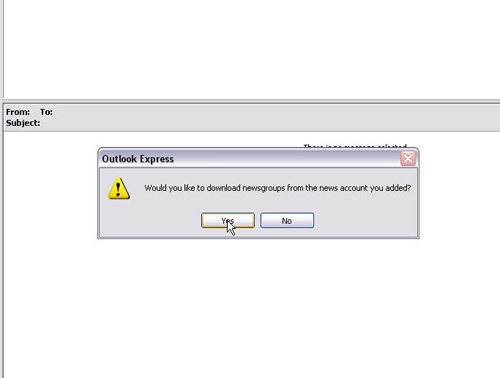 Step9: Click the yes button, to download the newsgroup list. 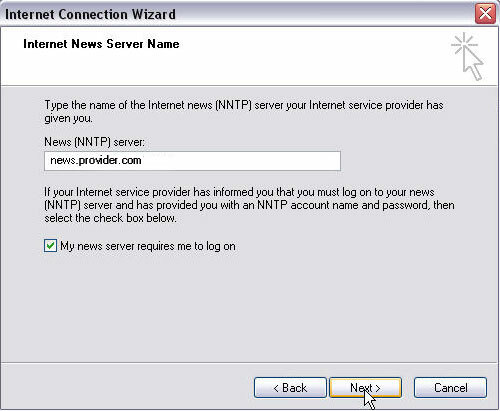 Step10: Let the newsgroups download. 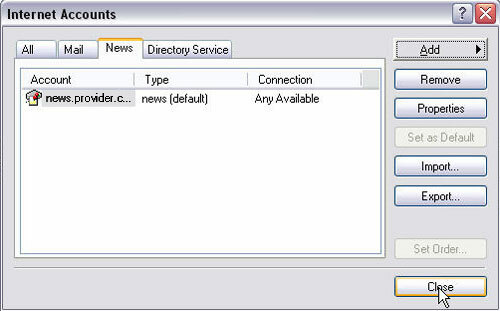 Step11: Type your keyword in the filter search field or browse the newsgroups on the rollbar to search the newsgroup list. 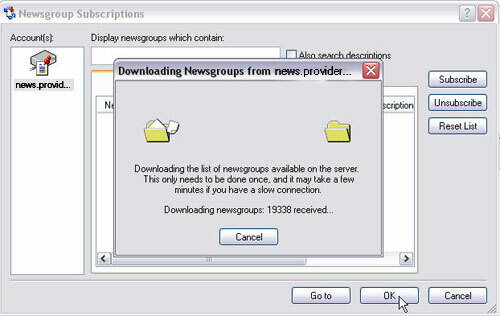 Step12: Select a newsgroup you are interested in. Step13: Click the subscribe button then the go to button. The newsgroup will now download article headers, and you can start reading the articles. 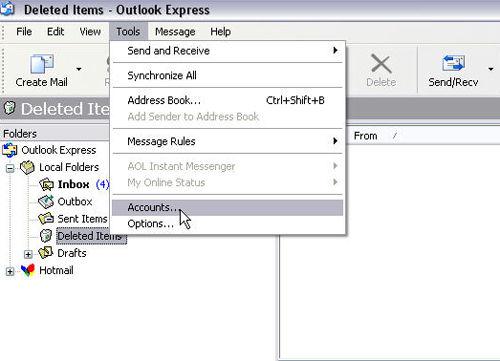 The group will now be available for later use under the server name in the left pane.